Tunde Bayode opened the scoring for Burnley tonight in a 3-2 win against Nottingham Forest in the Professional Development League. It was a first league win since mid-November when Bayode goal gave us a 1-0 win against Barnsley and a first league goal since Dan Agyei scored in a 2-1 loss at Leeds in the first week of 2018. It’s been really tough at times with Michael Duff’s team up against far more experienced and older teams but tonight, against a young Forest side, we turned in an outstanding performance and there is no doubt that the final scoreline was flattering to the visitors and not ourselves. Recent games have seen us using trialists in games as we continue to look forward to next season and beyond, and tonight there were two more on view although for one it was a return to familiar surroundings. In midfield was Liverpool’s Harvey Whyte. He’s a 19-year-old who has been with Liverpool since moving there from Crewe as an 11-year-old. Although from Warrington, he’s previously trained with Scotland at under-18 level. The other trialist was Jake Barrett who is currently with Manchester United. Huddersfield born, he played alongside Oliver Younger in the centre of defence but not for the first time. Some years ago, the pair were both at Burnley playing in the same team, this before he moved on to United. Both played well in this excellent team performance when it was difficult to single out a player who didn’t. It was as good a performance as we’ve seen at Curzon Ashton this season and we were very quickly in front with only 11 minutes on the clock. It was the ever impressive Ali Koiki at left-back who crossed from the left to Bayode at the far post who fired home a shot from just a few yards out. 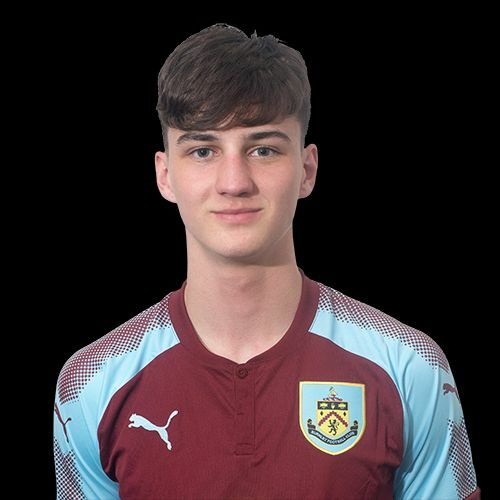 In a really good start, Dwight McNeil headed wide when a goal looked likely as Burnley dominated, but, out of the blue, Forest got an equaliser when an Isaac Hutchinson corner deflected past Conor Mitchell off Tinashe Chakwana and into the net. Only a superb save denied McNeil as Burnley looked to get back in front but half time came with the scores level despite us having been the better side. We soon put that right at the start of the second half. It took us less than a minute to regain the lead. A dead ball into the box finally dropped for Christian N’Guessan but he still had plenty to do before getting his shot away. This time there never looked likely to be a Forest comeback as Burnley totally dominated the play but you sensed that we might just need another goal. Chakwana and Bayode both came close and the keeper saved well from Massanka after the striker tried an audacious chip from over 30-yards. McNeil and Bayode again came close but finally we got that third, and as it proved, important goal when defender James Clarke (pictured) went up for a corner and headed home his first under-23 goal. Michael Duff took the opportunity to make some changes in the closing stages and, totally against the run of play, Forest pulled one back in stoppage time, but there were no further slip ups and the fully deserved points were ours. So often, Duff has had to speak after defeats for his team this season. Tonight he said: “It’s been a tough run, there’s no getting away from it. No one likes losing football matches. As much as you can say it’s about development, it still hurts them and it should hurt them. Next week sees us play our final two Curzon Ashton games of the season against Sheffield Wednesday on Monday and Hull next Thursday, both games kicking off at 7 p.m. The remaining three home games will then be played at Turf Moor. Burnley: Conor Mitchell, James Clarke, Jake Barrett, Oliver Younger, Ali Koiki, Tunde Bayode (Brad Jackson 79), Christian N’Guessan (Rahis Nabi 87), Harvey Whyte, Tinashe Chakwana, Dwight McNeil (Arlen Birch 87), Ntumba Massanka. Subs not used: Aidan Stone, Tommy Wood. Nottingham Forest: Liam Bossin, Joe Coveney (Virgil Gomis ht), Ethan Stewart, Alex Iacovitti, Danny Preston, Choz Charlesworth, Anel Ahmedhodzic, Elvis Otim (Aaron Smith 73), Isaac Hutchinson (Brennan Johnson 73), Arvin Appiah, Jordan Lawrence-Gabriel. Subs not used: Rudolfs Soloha, Jayden Richardson.